The project will be implemented by ECES and along the lines of the EURECS Strategy. 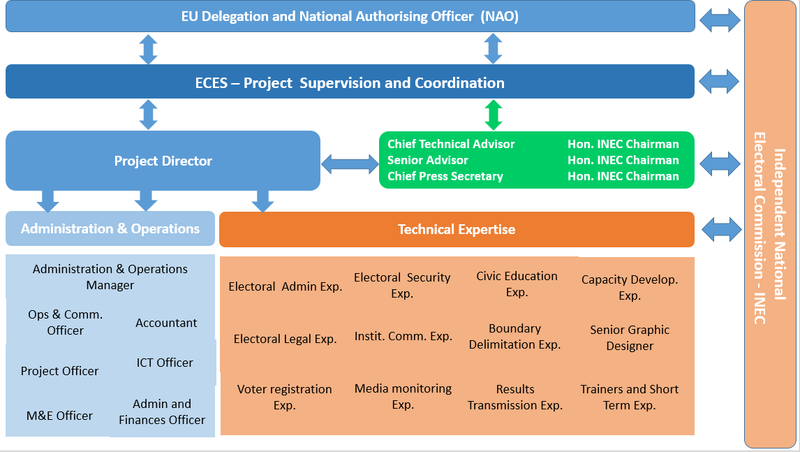 The umbrella of EURECS allows a strict and unified management based on the lesson learned from direct experience in projects’ implementation and management. The Project Management Unit (PMU) which will be responsible to ECES and EU Delegation for the operational management of the project during its entire life span, will be headed by a Project Director under the full supervision and quality control of ECES HQ, supervising an Administration and operations section and the Technical expertise section, both composed of national, regional and international experts.